The nostalgia train is still plowing through 2017 with almost no roadblocks in sight; though some of the following have already released on their respective platforms, 2017’s announcements include a new classic 2D Sonic the Hedgehog, both a traditional handheld Metroid game and the return of Metroid Prime on the Nintendo Switch, an upcoming third chapter of the Fear Effect saga and the recent reveal of Fear Effect Reinvented, and a remake of the original Crash Bandicoot trilogy. Lost somewhere in the onslaught of revivals, Accolade’s long-lost mascot is waiting for his second chance at fame, when his fourth title comes to PC and consoles later this year. 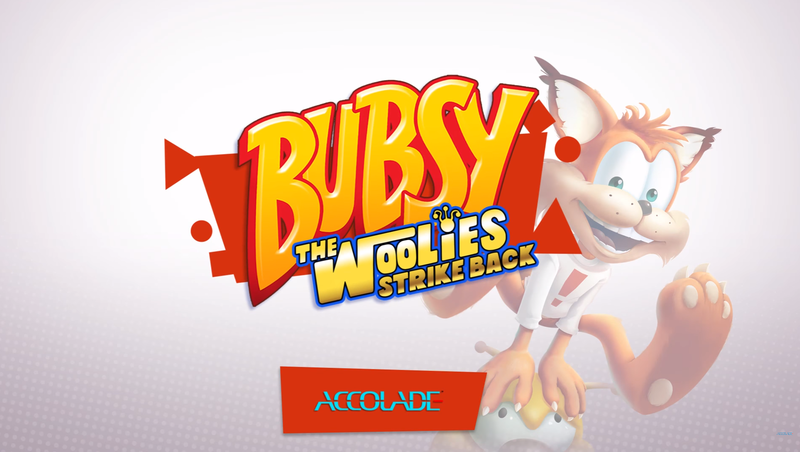 A move nobody could have predicted, Black Forest Games and Accolade are reviving Bubsy the Bobcat for his fourth adventure, Bubsy: The Woolies Strike Back. After a 21-year hiatus, Bubsy’s sworn enemies- the “Woolies”- have once again stolen the wise-cracking bobcat’s prized “Golden Fleece”, and it’s up to the player to punish their intergalactic thievery once again. Developed under the team behind the challenging Giana Sisters reboot Giana Sisters: Twisted Dreams, Bubsy: The Woolies Strike Back refines the gameplay mechanics from the two SNES titles for use in expansive, colorful 2.5D levels. For the ultimate Bubsy fan, a special limited edition will be available for purchase, but only for the physical console release; at the reasonable price of $39.99, “Bubsy: The Woolies Strike Back – Purrfect Edition” will include a physical copy of the PS4 version, physical soundtrack, Bubsy’s personal business card and a postcard. Bubsy: The Woolies Strike Back will release for PC and PS4 on 10/31.